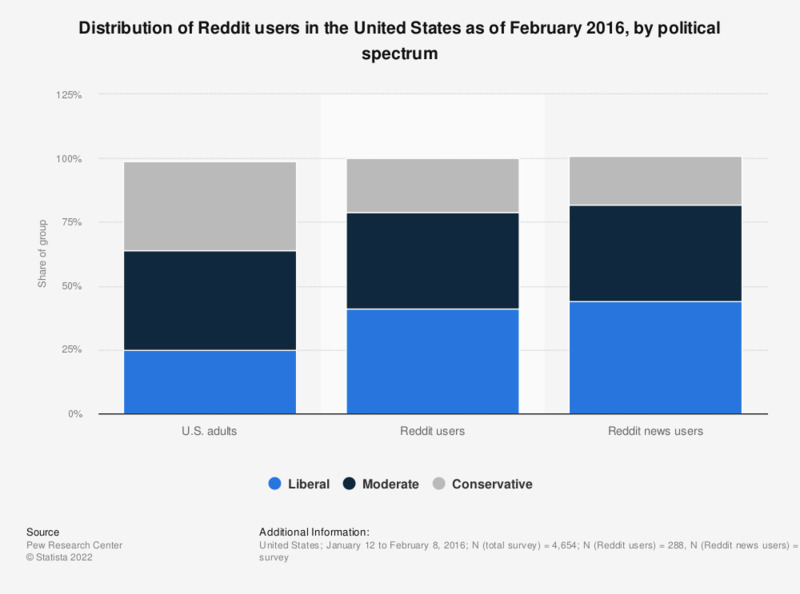 This statistic presents the distribution of Reddit users in the United States as of February 2016, sorted by political spectrum. As of the survey period, it was found that 44 percent of adult Reddit news users self-identified as liberals, compared to 25 percent of the total U.S. adult population. Data regarding U.S. population (except for political ideology) comes from 2015 March Current Population Survey.